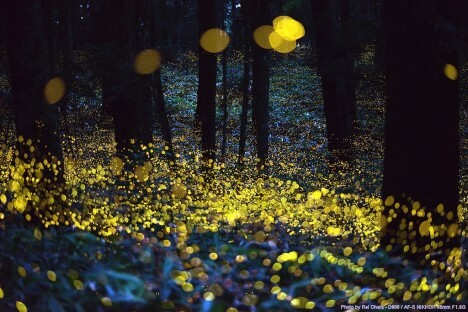 Thai fireflies gather annually to glow, flashing in great quantities in the country’s mangrove forests. Artists Robin Meier and André Gwerder stepped into the mix, adding artificial flashers to sync up the natural bioluminscent species. Some types of firefly will synchronize on their own, but following their natural rhythms. By introducing fakes into the mix, the pair of artists tricked a huge group into following their cues, pulsing in controlled patterns and sequential clusters. See more in Weird Science or under Science. August, 2016.